Note : This tutorial was updated. Now it will work without giving XML error messages. 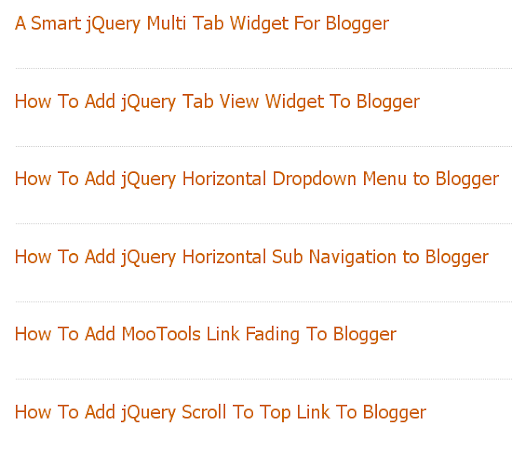 5.Go to Layout-->Page Elements.Click on "Edit" link of Blog Posts Section. 6.Enter the value for "Number of posts on main page:" as your choice and click on save. Not Working, it's saying:Your template could not be parsed as it is not well-formed. Please make sure that all XML elements are closed properly. XML error message: The element type "style" must be terminated by the matching end-tag "". This tricks is not workings..
this trick is amazing..............but i have 1 problem pls tell me how to minimize font of post heading. am not able to save the html after paste the code , because of error due to no matching end tag for &gtstyle. This article was updated. Now it will work without giving XML error messages. I have used your code above, it worked but contents on static pages (i.e. about us page , contact page...) are not shown. Anyway Thanks. Its working perfectly. Can you help me please I want to show Post Title on every page and label except Contact Us Page. how I can exclude any specific page from it ?? It works fine. Thank you.